I don't actually own this dance card; it escaped me on ebay some time ago. But I managed to grab the helpfully-posted images before they vanished. It is not a very prepossessing card; it appears to be a simple folded piece of cardstock with black and white printing inside and out. The inside of the card is at left. The outside, below, features a simple but attractive front cover design of geometric shapes surrounding a bird in a lightly-sketched landscape. What makes this card interesting to me is that it is not really a dance card for use at an actual ball. Notice how there are no spaces to fill in partners' names? Enlarge the inside of the card and in the fine print you'll see "We respectfully solicit your company for the above occasion", said occasion being a "Grand Ball!" to be given by Elmer Fife at Moore's Hall on Wednesday, January 27th, 1886. The card is actually an invitation, or possibly an advertisement, depending on how it was distributed. The final line on the left, "None but respected parties will be admitted to the ball" hints to me that it was not a very exclusive list. And I am amused by the larger-font assurance that there will be "GOOD MUSIC". Overall, this card reminds me most of the 1917 Ocean View Amusement Park card I posted several years ago. The first ball of the Larchmont (NY) Engine Company was held on Wednesday, April 17, 1901, as reported in The Larchmont Times on Saturday, April 20th. Like the Wichita fireman's ball given in 1903, it heavily featured waltz, "deux temps" (which I believe to be two-step, rather than the older deux temps), and quadrilles, with a few other popular nineteenth century dances mixed in. It's a bit more old-fashioned a program compared to Wichita's, which fits since it's a couple of years earlier and not as far along toward the "all waltz and two-step" programs sometimes found a few years later. The image at left is courtesy of the Larchmont Historical Society, which has the whole front page of the newspaper up on its website. Part First -- Grand March, Lanciers, Waltz, Deux Temps, Quadrille Waltz, Polka, Schottische, La Varsouvienne, Waltz, Lanciers, Deux Temps, Waltz. Part Second -- Grand March, Quadrille, Waltz, Lanciers, Polka, Caledonian, Deux Temps, Schottische, Reel and Jig, Waltz, Deux Temps, Virginia Reel, Home Sweet Home. That doesn't actually seem like a whole lot of dances for a ball that lasted from nine to midnight, then commenced again after supper and continued until "an early hour", but it's all we've got to go by. Perhaps they took generous breaks between dances; I've seen dance programs where the dances all had dedications which probably involved toasts and speeches. It's been quite some time since I discussed a dance card or program. The image at left is not from an actual card, but rather an advance publication of a program of dances taken from a local newspaper. The event was a Firemen's Ball, to be held in Wichita, Kansas, on Thursday, December 17th, 1903. A short article and this program were published in the Wichita Daily Eagle on the previous Sunday, December 13th. Firemen's balls were rather common, presumably serving as fundraisers, but they seem not to have been that popular in Wichita; the accompanying article noted that this would be the second such ball held by the department in twelve years, which does not exactly demonstrate a mania for dancing. It seems to have been expected to be successful, however. Although the "fireboys" had not had much time to sell tickets, since they were on duty night and day except for meal breaks, they had still managed to sell between three and four hundred. The location of the ball was not specified, but the article did note that that the hall would be "handsomely decorated with palms and cut flowers by a committee appointed for that purpose", that Bamberger's orchestra (C. O. Alton, director) had been engaged, and that Professor Hartman would officiate as floor master. The grand march would be led by Chief Walden and Mrs. Walden, and "the fireboys will no doubt prove as efficient in the dancing area as they are in the department work." The program, shown in a scan from microfilm at left above (click to enlarge; sorry about the poor quality), is interesting to me mostly because it includes no fewer than four five-steps, meaning five-step schottisches. That's quite a lot of five-step for a program with only twenty-two dances! One of the most charming descriptions of a fancy dress ball in my collection is that of the event held at Buckingham Palace in honor of the sixth birthday of Queen Victoria's youngest son, Prince Leopold, on April 7, 1859. This was a juvenile, or children's, ball, but, as we know from descriptions of the dancing lessons given to Victoria's children, the level of dancing skill even at young ages was considerably higher than one would expect from children today. That said, it's not clear to me whether the youngest children really danced all the dances or whether that was left to the older ones, or perhaps the parents. The description I have was printed in The Albion, A Journal of News, Politics and Literature, on April 30, 1859. The Albion was a weekly New York newspaper that covered British matters extensively and was read by expatriates. The description was probably copied directly from a London newspaper. I finally got to spend some time recently looking through Philadelphia newspaper microfilms, investigating the mysterious (and unlikely) "Cauliflower Chemi" appearing on the 1842 Butchers and Drovers Ball program transcribed by Charles K. Jones in his 2006 biography of Francis Johnson. I was able to find the newspaper announcement with the ball program in the pages of Philadelphia's Public Ledger (Vol. XII, No. 139, February 28, 1842). Both are popular "promiscuous figures", which could be substituted in for other figures in a quadrille or, apparently, danced as independent figures one or two at a time. I'm not sure I've ever seen such direct evidence of that on a dance program before. Since the image from the microfilm is next to useless, I'm going to retranscribe the full program, then talk a little about it below. Continuing with my leap year theme, here's a dance card from an event held on Tuesday, January 2nd, 1888, by the Fedora Leap Year Club. The scans of this card were sent to me by California dancer Tom Willson, who had a question about a couple of the dances on the program. I couldn't give him a definite answer, but the card itself turned out to be surprisingly interesting. Click the image at left of the outside of the card to enlarge it and take a close look at the text. 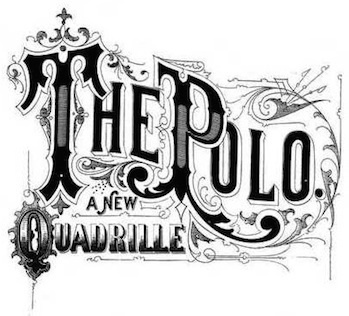 The event was the "First Grand Quadrille Social", though the dance mix is not particularly quadrille-heavy for the era -- seven out of the twenty dances, with the rest being a typical mix of other dances, which I will discuss below. I haven't been able to trace the origin of the card; unfortunately, there are a number of Russell Halls in the United States, and with no city listed, I can't pick out which one. Nor have I had any luck with the Fedora Leap Year Club. Digging around on genealogy sites, here are some hints from some of the names of the organizers (Lizzie Spooner, Maggie Breazeale) that they might have been from somewhere in the south, but I can't say for certain where the ball occurred. But those names are the start of what is so interesting about this card: they're all female. That's not that out of the ordinary for an organizing committee, but to have the floor managers be female? That's pretty unusual. As evidenced by the name of the club, this was in fact a leap year ball, run along the lines of the fictional ladies' ball described in the 1835 story I just discussed. What a bizarre coincidence to have this card turn up just as I was preparing to write that post! The American periodical Harper's Bazaar was started in 1867 by the company Harper & Brothers as a weekly fashion magazine. It is well-known to those interested in nineteenth-century costume for its beautiful, highly detailed fashion plates and still exists today as a glossy monthly magazine. New York attitudes appear not to have changed in the slightest in the last century. I'm always happy to find dance ephemera from my home state of Connecticut, and this dance card is particularly local: it's from a 1910 Junior-Senior Dance at West Haven High School, whose current incarnation is less than ten miles away. Today is the last day of classes for WHHS, though I don't think it's in the same building as in 1910. In celebration, let's talk about what the students there were up to 104 years ago. West Haven was settled in 1648 and was the landing site for a British attack during the Revolutionary War. In 1910, it was not yet an independent town but a part of neighboring Orange. The "Informal" Junior and Senior Dance for the classes of 1910 and 1911 took place on Friday, June 17th, 1910 at West Haven Town Hall. This is a used card, with the last names of partners scrawled in pencil next to most of the dances. I would have guessed this to be a girl's card since there are only last names with no "Miss" attached to them. However, the name "Arthur" is written above the dance list; possibly this is the card owner's name. At left is a dance card for a "Grand Easter Ball" held on Tuesday, March 27, 1894, by a local Sons of Veterans chapter in Middletown, New York. That's actually a couple of days after Easter (March 25th that year), but I suppose they could hardly hold a ball during Holy Week itself. Midweek balls seem to have been surprisingly common in the nineteenth century, judging from ball invitations and dance cards I've examined. The Sons of Veterans was a youth organization (14 and up, with a junior branch for ages 6-14) for the sons of veterans of the Civil War. It was formed in 1881 as a combination fraternal order and paramilitary training group. By 1890 it had over 100,000 members. More informaton about the group may be found on Wikipedia or on the webpage of its descendant organization, the Sons of Union Veterans of the Civil War. The two pages conflict on some points about the early history of the Sons of Veterans -- there seem to have been some organizational politics with the veteran's organization -- but I am not sufficiently curious to research the details myself. In 1894 the original teenage members would have been young men in their twenties, a very suitable age group for holding a ball. The front of the card depicts a young soldier holding a rifle with bayonet. I am no expert on military uniforms, so I can't say whether the uniform represents (accurately or otherwise) a Civil War soldier, a soldier of 1894, or perhaps the Sons of Veterans' own uniform. The general look is similar to the soldier on the left in this New York Public Library image, which shows soldiers from 1881-1903. I will leave it open to any experts who want to chime in on this topic in the comments. The back of the card shows the Sons of Veterans medal with the organization's name in Latin. The card is generally in good shape, despite a blot on the front and someone having scribbled on the back of it. There is no attached pencil, but the cord and tassel survive. The card was never used. Pictured at left (click to enlarge) are two dance cards which I purchased as a set. The first is clearly as the card as the Programme from the Annual Alumni Ball of Solon High School held on June 23, 1918. Music was provided by Lyon's Orchestra, and the location was Caratunk Hall. There are several Solons in the United States, but the hall name enabled me to trace this card to a tiny town in western Maine. Caratunk Hall, built in 1840, was named after the Caratunk Falls, and was standing at least through 2005 as the "Solon Flea Market". The card is printed in color, and a green cord and tassel for an attached pencil are still present. Here's a dance card from a ball given in Wisconsin on February 10, 1900, placing it halfway between two cards I had previously posted (from 1894 and 1906). The name of the town is cut off by damage to the card, but I'd guess it to be Westboro. The sponsoring organization is the Y.M.P.S. The card is printed in red with an American flag in blue (click the images at left to enlarge). The red pencil cord is still attached, though the pencil itself is long gone. The card evidently belonged to a lady, since the first half of the card is filled with men's names. Most appear to be in the same handwriting and it's interesting to see that some partners are recorded by first name ("Richard") others with an honorific ("Mr. LaBeau") and others with both first and last names or initials ("Otto Rindt", "Frank H."). Frank and Richard seem to have been particularly favored partners, having received two dances each, though Frank got two quadrilles while Richard enjoyed a waltz and a polka. The back cover is covered with mathematical scribbles -- perhaps she used it as scratch paper later. 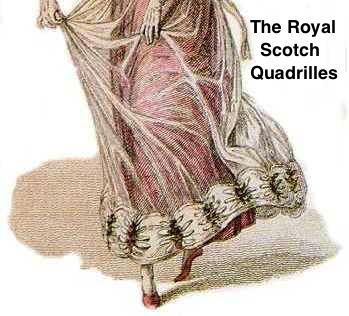 At some fancy balls quadrilles are arranged beforehand, in which all the dancers are to be dressed after the fashion of some particular period. One of these quadrilles should open the ball, and others may be interspersed in the programme at irregular intervals. -- Armstrong, Lucie. The Ball-Room Guide. London and New York: Frederick Warne & Co., c1880s. London, Jan. 2. -- The lancers, quadrille, polka, and mazurka, once popular dances, have now almost disappeared from the ball programmes of fashionable London. The American two-step to some extent has taken the place of the polka, but the dance most in favor is the waltz, which, according to an Italian expert, the English people seem to dance like persons in a dream, so slowly is the time usually taken. "If the King would command that one new dance be included in the programme of each State ball he would set a vogue for all the ballrooms of the kingdom. The mazurka, schottische, polka, and waltz cotillion all have their places in a properly balanced programme, and on such occasions of ceremony as a State ball arranged in honor of some distinguished visitor I would suggest that some one should arrange to provide dances of a former period, as was done at the ball given by the Kaiser in Berlin in honor of the King. The gavotte, minuet, and pavane suggest themselves, and, in addition, a new dance which would become the dance of the year." The last State ball, on July 10, was made up as follows: Waltzes, 10; quadrilles, 3; polkas, 2; galops, 1. Mr. Compton suggests instead: Waltzes, 6; quadrilles, 2; polkas, 2; mazurka, 1; polonaise, 1; schottische, 1 or 2; two-step, 1; waltz-minuet, 1; and a new dance, 1. 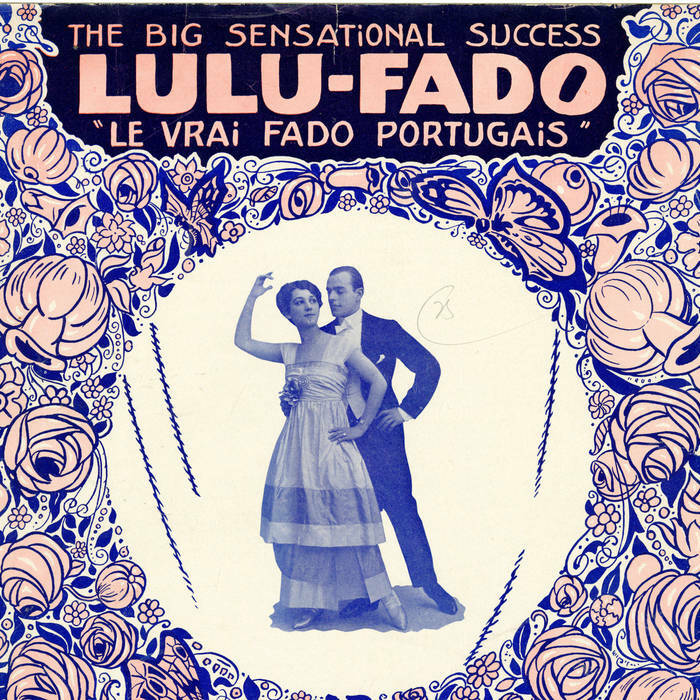 Top-down dictation of dance popularity has never worked out all that well, and within a few years most of these dances -- with the notable exception of the waltz -- would be thoroughly out of favor as the new ragtime dances became popular. Both articles are © The New York Times, though 1909 articles would be out of copyright in the U.S. by now. Click the article titles to be taken to the original articles in the invaluable The New York Times archive. Here's another interesting dance card which, combined with the 1894 one I posted back in August, perfectly illustrates the final collapse in popularity of most of the nineteenth-century dances by first decade of the twentieth century. While the waltz survives and the recently popular two-step holds its own...that's it. The entire Order of Dances on the card consists of alternating waltzes and two-steps. Click the image to see the list more closely. There is provision for four unspecified extra dances at the end, but otherwise it's a monotonous alternation of those two dances. You can see why the Turkey Trot and then the one-step were considered a welcome change of pace! The card was printed by "Jaccard" in Kansas City, Missouri, and appears to be from a fraternity or sorority ball, judging from the Greek letters in the small red logo on the front cover (again, click to enlarge). It is helpfully dated 1906 in a large monogram above. The white cord for the pencil survives, though the pencil itself is long gone. While modern custom attaches the cord through a hole punched in an upper corner, this one has the cord knotted around the fold. Phi Lambda Epsilon was founded February 12, 1892 at Clinton Academy, Missouri. There are currently seven extant chapters. It is described as a "national educational fraternity." The last dance card I posted having been well received, here's another one from my collection. This one is from a benefit ball held in Las Vegas on April 24, 1894, with music by the East Las Vegas Military Band "Assisted by "Prof. J.A. Hand's Full Orchestra." The card is badly stained, but the lovely cover image of a putto playing a guitar to a group of birds is still charming. The cord for the pencil is still attached, though discolored. The edges are pinked. The card has not been used, though one dance ("Comus Waltz") has been crossed out and "Waltz" written in, presumably after a last-minute program change. The ball committee -- all men -- is listed on the back cover. I am not a big collector of dance cards, but occasionally I buy one or get given one as a gift. I plan to post them occasionally as examples of the order of dances at actual balls of their eras. The Improved Order of Red Men is still in existence and claims a history going back as far as 1765 and a descent from the Sons of Liberty who perpetrated, in Mohawk disguise, the Boston Tea Party in 1773. The current name dates from 1834. Details of the order's history may be found on its website. Two of the three "tribes" (local organizations) listed seem still to be in existence, though perhaps not in the same cities: Red Cloud (Indianapolis) and Minnewa (Philadelphia). Polmete seems to have vanished.